Turkish citizens urged to avoid travel to Lebanon and those already in the country advised to leave if they can. Turkey has called on its citizens to leave Lebanon following abduction of two Turkish Airlines pilots by armed men in Beirut. 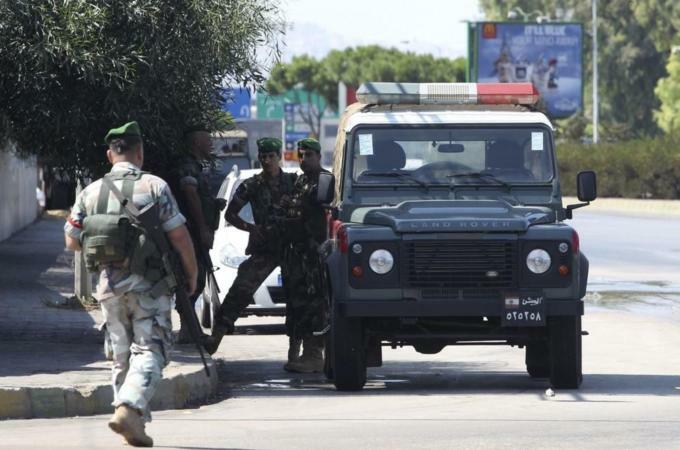 Separately, it has decided to remove its troops from the UNIFIL peacekeeping forces operating in southern Lebanon, according to Lebanese media. Two Turkish pilots working for Turkish Airlines were kidnapped by armed men who intercepted their bus early on Friday morning. “Given the current situation it is vital that our citizens avoid all travel to Lebanon,” a foreign ministry online statement said on Saturday. “We suggest that citizens who are still in Lebanon return to Turkey if they can, or if they have to remain, to take all measures to ensure their personal safety and be vigilant,” the statement added. Turkey’s foreign ministry also expressed its expectation for the Lebanese government to take “all necessary measures” to ensure the safety of Turkish citizens in the country. Lebanese media reported that Turkey had decided to pull back the majority of its peacekeeping forces in the country. “On 6 August UNIFIL [was] informed by the UNHQ Department of Peacekeeping Operations that the Turkish government has decided to withdraw the Turkish Engineering Construction Company of UNIFIL by the first week of September,” UNIFIL said in a statement, according to the Lebanese Daily Star newspaper. “[The withdrawal] will be around 280 troops and 58 will stay as part of the maritime task force,” the newspaper quoted the UNIFIL chief as saying. Zuwar al-Imam Reda, a previously unknown group, said it carried out the abduction and demanded the release of a group of Lebanese Shia pilgrims kidnapped in Syria last year, Turkish and Lebanese press reports said on Friday. 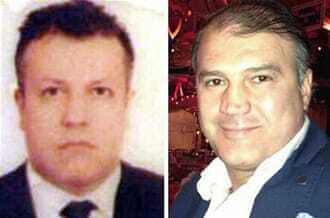 Turkish Airlines press office announced that the pilots were named Murat Agca and Murat Akpinar. According to Inan Ozyildiz, Turkey’s ambassador to Lebanon, a Turkish Arilines crew of nine people were on their way from the airport to their hotel when the abduction happened. Seven flight attendants on the bus were not targeted as assailants ony kindnapped the two pilots. Two Turkish nationals were briefly abducted in Lebanon last year, following the capture of 11 Lebanese Shia Muslims in neighbouring Syria’s northern Aleppo province, two of whom have since been released, and the separate detention of a Lebanese national in Damascus by rebels. They are reportedly being held by the rebel group Northern Storm Brigade (Asifar al-Shamal). Turkey is said to wield influence over the group. The abducted Shia Muslims were part of a group of pilgrims who were on the return leg of a trip to Iran. A representative for the families of the kidnapped Lebanese has denied any involvement in the abduction of the Turkish pilots. There have been several failed rounds of negotiations to free the Lebanese. The war in Syria frequently spills over into neighbouring Lebanon. The Turkish government is a staunch supporter of the Syrian opposition. On the other hand, Hezbollah, the armed Lebanese Shia political group, actively provides support for the forces of Syrian President Bashar al-Assad.